News out of Switzerland today has US President Obama claiming a deal with Iran as a victory for his Administration. Below is a photo of the two leaders celebrating. According to the Deal, Iran gives up basically nothing. The US in return unfreezes $7 Billion in Iranian funds. Keep in mind that it is not the US that made Iran a dangerous State. A recognized and internationally sanctioned State Sponsor of Terrorism. We now have a President who not only green-lights running guns to drug gangs in Mexico, but is now the World's number one Iran Sanctions violator. 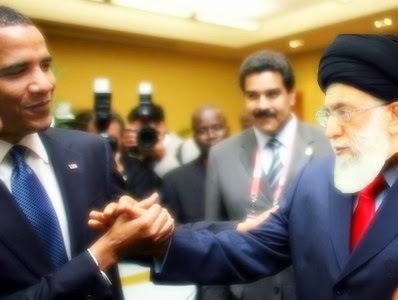 See more at my original post here (Obama - Chavez - Ahmadinejad (Photo)). Back in March (ObamaCare - If a Corporation Did This, People Would Go To Jail) I noted that if private corporations did what the Government was doing with Obamacare, that the Government would go after them for criminal activity. The basis of my argument was the dodgy financial justification the Democrats made for passage of Obamacare in that it would save the country and citizens billions of dollars. In reality, the savings were always an illusion at the real expenses were hidden in the years after the Government's ten year accounting review. Corporations however are not permitted such accounting gimmickry. 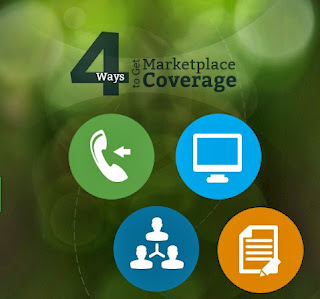 Now that the HealthCare.Gov website is proven to be even more of a disaster than expected and given the millions of health insurance cancellation notices that Americans are receiving, others are making the connection that President Obama's Democrat Administration is openly behaving in a way that would result in criminal prosecutions had they acted this way as a private business. The article also notes that the HealthCare.Gov website provides in many cases very inaccurate insurance cost estimates, by design. Go read the whole article. Also read my initial post on this subject which covers the financial lies that were used to pass Obamacare in the first place. All of this should be remembered when the next election comes around. 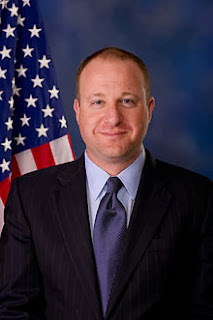 Now we have Idiot Politician of the Day, Democrat Congressman Jared Polis from Colorado oddly declaring that the problem with Obamacare (as if there is only one) is that Obamacare does not cover illegal aliens. Illegal immigrants are one of the few categories of people in the U.S. who aren’t subjected to Obamacare’s individual mandate requiring all people to have health insurance coverage. They also aren’t eligible for taxpayer subsidies to buy insurance on the health exchanges, nor are they supposed to be getting assistance under Medicaid. The Presidential Lie: "If you like your plan, you can keep your plan." Here is NBC News reporting that President Obama's Administration knew that the "If you like your plan, you can keep your plan" was a lie. Keep in mind that the Regulations issued by the Obama Administration are written to disqualify as many existing plans as possible, doing their best to undue the grandfather clause that was put into the law. So it is two months since my last post on the Keystone XL pipeline (Keystone XL Pipeline - You Don't Get a Much Better Example of How Anti-Business (and Petty) This Administration is) and our petty President has still not gotten out of the way of construction of the Keystone XL Pipeline. His liberal followers are doing their best to silence criticism of the President in this matter. Take a look at a recent post on Business Insider, 'Why We'll Have To Keep Waiting For Obama's Decision On The Keystone XL Pipeline', where Liberals killed every comment by flagging them as offensive, including a comment by the author who eventually turned comments off for the post. They even flagged their own comments which is unfortunate as it is interesting to see their thinking, which included comments that since thie project will only product 5,000 jobs, that it was irreverent in terms of creating work. But as I have said before, the Democrats Hate Your Job, especially jobs like these. 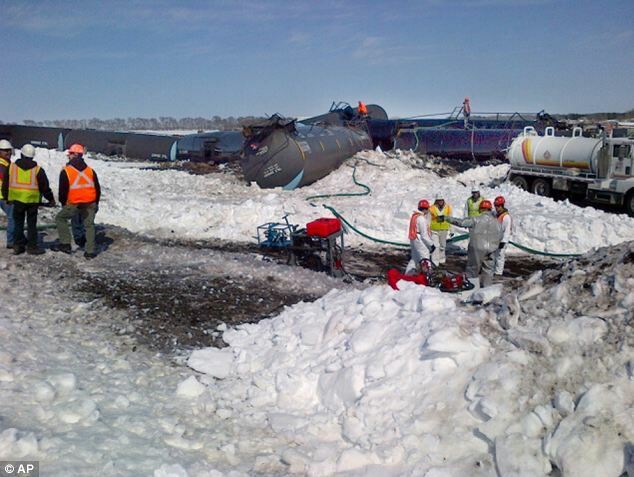 The number of tank cars ordered for shipping crude and expected to be delivered by the end of 2014 will be enough to move two million barrels of oil per day, almost three times what is currently extracted from the Bakken shale basin, Mr. Kolstad said. That’s the size of two Keystone XLs and one Seaway pipeline. Read the rest of the story. So good job liberals. The oil you hoped to keep trapped in Canada is coming to the US, in a more expensive mode of transportation, which happens to also be less safe and less green. 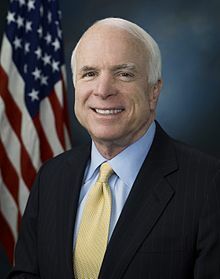 John McCain is a Republican Senator from Arizona. He ran for President against Barack Obama and lost. I voted for John McCain because he would have been a better President than Barack Obama. That does not mean that Senator McCain is not an idiot. Being an idiot is not what cost him the election, especially given that he lost the election to an even worse Senator. That said, if this is what Senator McCain thinks counts as serving his country, then I say that Senator McCain has served our Country long enough. Earlier, the former Republican presidential nominee said he expects Hagel to be confirmed as defense secretary even though he doesn’t plan to vote for him. Senator McCain is playing old-school Senate games. The President however is counting on the Republican Senators to play by these rules as he breaks them and uses them to his advantage. After all, it was President Obama who declared that the Senate was on recess so that he could push through some of his political appointees that the Senate was holding pro-forma sessions specifically to prevent the President from appointing without confirmation from the Senate. Senator McCain has become a useful idiot and an enabler of the left. Take the calls for more gun control. Lets forget that the Democrat suggestions and demands are unreasonable. You don't hear Senator McCain defending the rights of Americans. No. Instead he is eager to find compromise with the democrats. This compromise will be at the expense of our rights. And for what? So that Senator McCain can continue to be a big-ish man in Congress. Forget it. Given that you can't teach this old dog any new tricks, can't we just send him home.